Lazy days just got a whole lot better with this must-have hoodie doll. 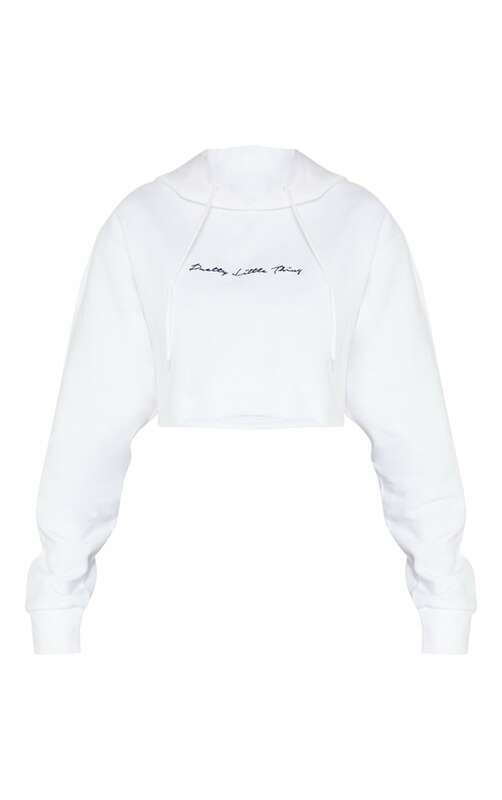 Featuring a white fabric with a 'PrettyLittleThing' embroidered slogan across the front, long sleeves and a cropped length, what's not to love? Style with cropped leggings and chunky fresh kicks for an effortlessly chilled vibe.